Let’s have a look forward to 2019, shall we? We all know how I love a good life chat, especially at the beginning of the year. 2018, all in all, was a bloody good year, but what do I want to happen in 2019? Normally I love setting 101 resolutions, but this year I just don’t fancy it. Maybe it’s because I feel like, generally, I’m in a really great place this year that I just don’t feel like that much needs to change. While I have a lot of things I’d like to try to do, and goals as such, resolutions seem a lot more firm and definitive, which doesn’t seem very me right now. So what do I want to happen in 2019? Back in June I took the leap and decided Marketing was what I wanted to go into after graduation. With no experience but my job, it was a pretty big leap. I bagged a 4 days a week job at a local company thinking it was a step to ‘get my foot in the door’ and gain some experience. 6 months on and I’m loving the job far more than I ever expected, and I’ve been bugging for an option to go full time since. Things are looking up, with words of a full-time contract being offered soon, which means I’ll *finally* be able to get rid of working Saturday’s at Tesco’s after nearly 4 years. I feel proud that I took the risk of a part-time contract after graduating, when really I should have looked longer for something full-time, but this job really suits me perfectly, and I’m learning where I want my career to go. That’s a big step considering at the beginning of 2018 I still had no idea! Jamie and I have been saving for a house since we met – admittedly he’s done a lot better than I have since I’ve spent 3 years at university. I’m so eager to get into my own home with Jamie now that I really want to work hard to save. That means paying into a help-to-buy and any extra money I get from my blog to go straight into that big old piggy bank! I feel like in 2018 I accumulated a hell of a lot of stuff. Perhaps it’s because I moved back home after uni and didn’t have 2 rooms to hide stuff in anymore, but this year I want to live a bit more of a minimalistic life. I know I’m never going to be that girl with only 3 tops and 2 pairs of jeans in their wardrobe, but I want to be more sensible with the things I buy and keep. Last week I started with a clear out of all the things I’d chucked under my bed and forgotten about. I’ll tackle my drawers and wardrobe next! What are you hoping to do in 2019? 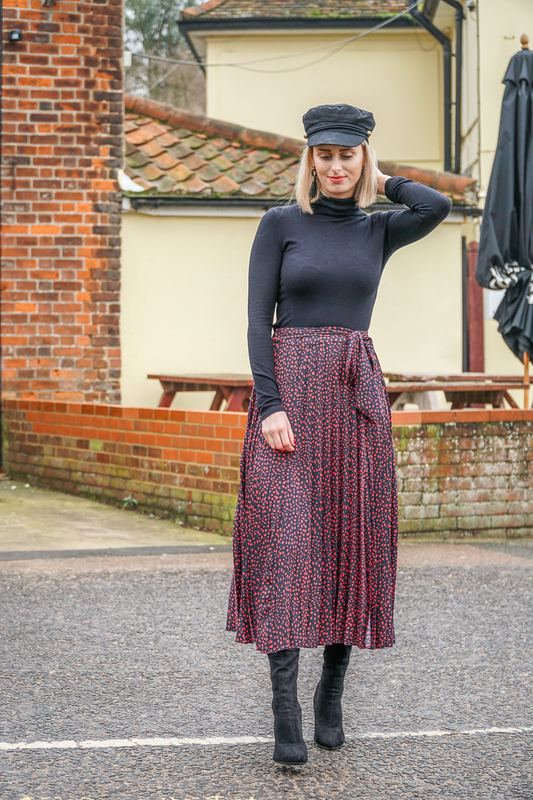 "Everything I achieved in 2018"
"How to style midi dresses"